This year, rather than Halloween, I wanted to create a Day of the Dead feature. 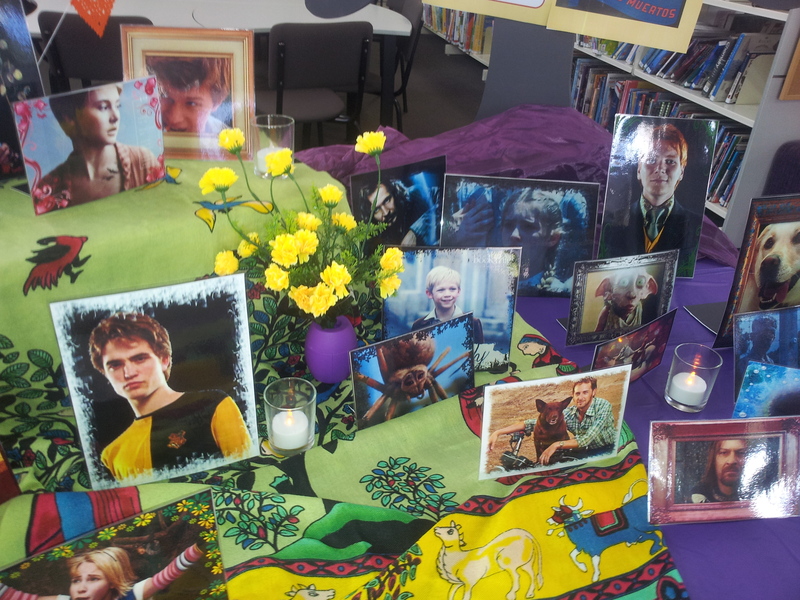 Of course,traditionally one would have photos of loved ones on the ofrenda but instead we have characters who have died in books. I found a fun free program which created ‘photo frames’ around each picture. They were laminated and a folded heavy cardboard stand added. Candles and flowers (traditionally marigolds) have been added and closer to the day we will have a bowl of Mexican lollies for the students to enjoy (bought from Chile Mojo). I’m deciding whether to buy one actual sugar skull as well :-). 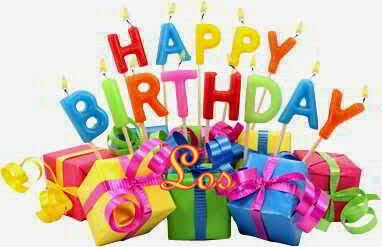 The traditional tissue paper banner is from the same supplier. 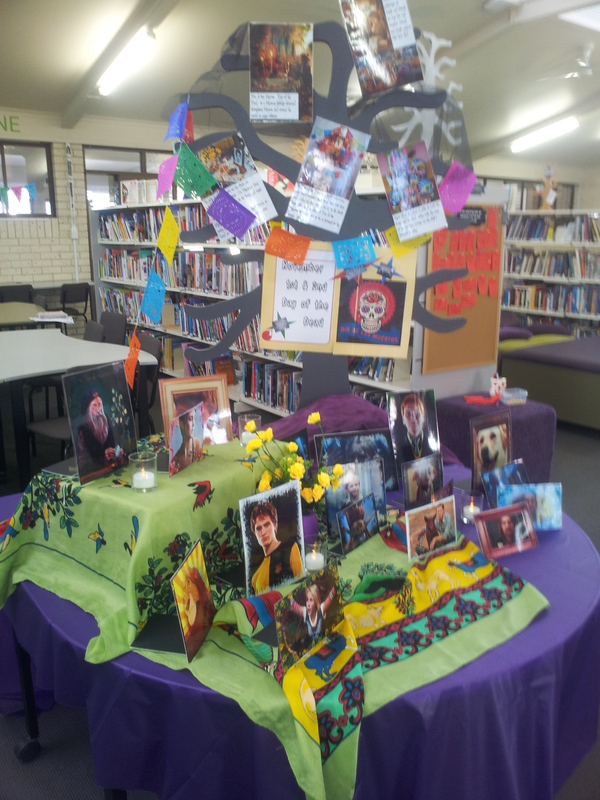 In the meantime the display is proving very popular with students. In the background (board with red slips) is our question of the moment “Which dead book character would you bring back to life?”. Harry Potter characters are definitely leading the field in the answers! 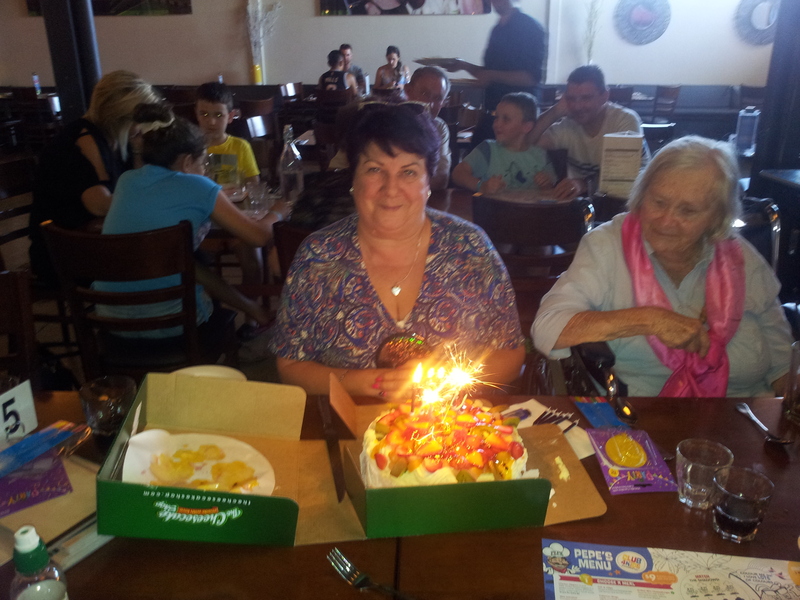 Ace amateur super sleuth Friday Barnes just gets busier and busier! In the third of the series, young Friday finds a perfect swarm of mysterious goings on at Highcrest Academy. Firstly, there is the unexpected visit from her absentminded father when he brings the dreadful news of the disappearance of Friday’s mum. Has she been kidnapped? Has there been some kind of terrible accident? Friday’s mood is not helped by having her father installed at her school until things have been sorted out. This is particularly so because the Headmaster also needs her help. Not only is there a huge kerfuffle with the arrival of new student, Princess Ingrid of Norway but it seems a thief is at large. The elusive Pimpernel is leaving calling cards everywhere and personal items are disappearing at rapid rate. Friday’s relationship with her nemesis Ian Wainscott seems poised on the edge of a change after she helps Ian’s mum thwart her ex-husband’s attempt to leave her in financial ruin. Certainly some of her classmates are eagerly awaiting a shift in the dynamic! Friday’s giftedness is never grating, probably because it is balanced so delightfully with her social ineptitude. Her gauche geekiness is really very endearing and Spratt’s characterisations are always a triumph. 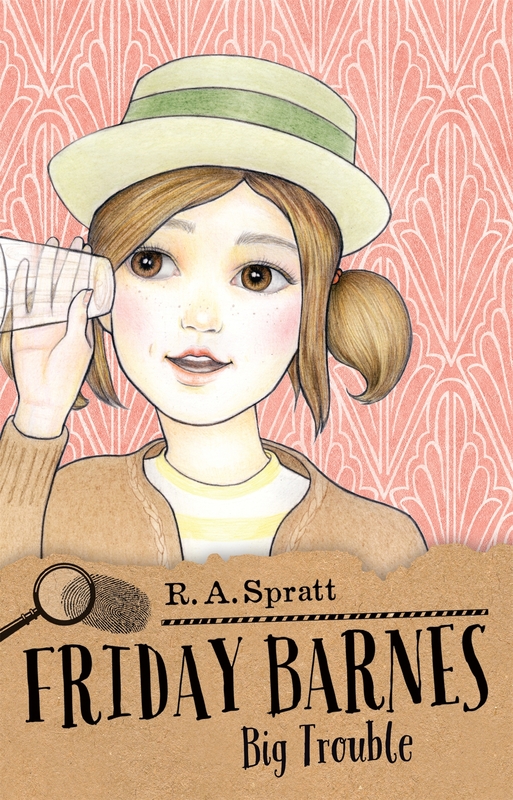 Another very positive aspect to Spratt’s writing is her ability to weave a more sophisticated vocabulary into the text with a full expectation that her tween readers will correctly interpret it. And they do! These books are proving very popular in our library with our new-to-high-school Year 7 girls. For that reason it is just wonderful to see that the next volume will be published in early 2016. Find a fun Friday Barnes Scavenger Hunt kit for libraries here and don’t forget that previous books had teaching notes provided. Highly recommended for your budding detectives from around 9 years upwards. Every now and again I lash out and actually read a ‘grown up’ book and being a very genuine admirer of Philippa Gregory’s historical fiction was most excited to be able to review her latest book. 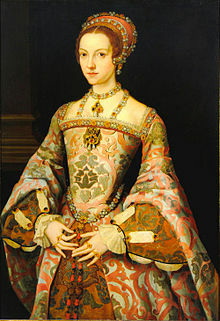 Kateryn (also known as Catherine) Parr was the last and surviving wife of the infamous Tudor monarch, Henry VIII. She is also arguably the least known of his wives in a sense – even the rather innocuous Anne of Cleves had some more notoriety if only because the marriage was so short-lived without the grisly end of other less fortunate of Henry’s spouses. For those who have watched that excellent BBC series The Tudors or studied some medieval history there will be some background knowledge of the main facts. 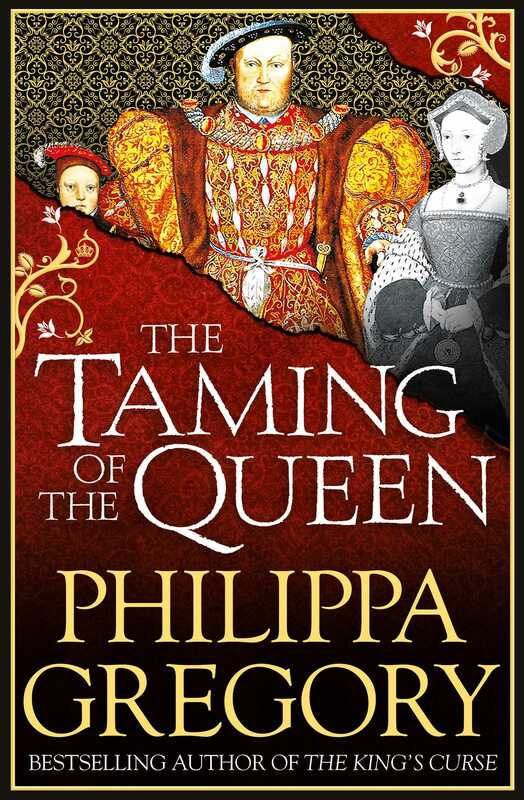 Philippa Gregory’s talent lies in bringing history to life by building on the facts through deeper research not only of the direct subject but also the prevailing attitudes, customs and daily lives of the period in question. Kateryn was a beautiful 30 year old married to a much older husband when Henry Tudor first decided to make her his wife. When her husband died, the aging King Henry wasted no time in proposing to Kateryn, insisting she come immediately to court, despite her still being in mourning; and so began Henry’s last marriage and his first to a queen who despite her personal preferences, devoted herself to his well-being and also to the task of reuniting father and royal children thus ensuring those children were recognised and respected. Kateryn had already secretly been planning to marry Sir Thomas Seymour, and indeed following Henry’s death in 1547, finally did so. Despite her disappointment in not being able to pursue her true love yearning, she proved a loyal and diplomatic wife to an increasingly despotic and erratic Henry. She raised many eyebrows and incurred some real wrath for what was perceived (but never proven) as Protestant heresy, but was able to avoid the dire persecution inflicted on others, innocent or guilty, by engaging the king’s support and rekindling his loyalty to her. She was perhaps the most scholarly woman of her times and demonstrated this through her writing and published works as well as her ability to match wits with the men surrounding her. As always for these complicated times, plots and twists of fortune abound and provide fascinating indeed compelling reading offering real insight to the Tudor court and its significant players. For lovers of historical fiction and particularly Medieval history, I believe, Philippa Gregory is top of the tree. If you have not yet tried out her books, I urge you to do so – you will not be disappointed. There is a great reading group guide here. Many years ago my dad handed me a copy of Frank Clune’s ‘The Wild Colonial Boys’ saying “You should read this.” – a common occurrence as we shared both a literary taste and an interest in colonial history. From that moment I was hooked well and truly on the exploits of the Australian bushrangers. 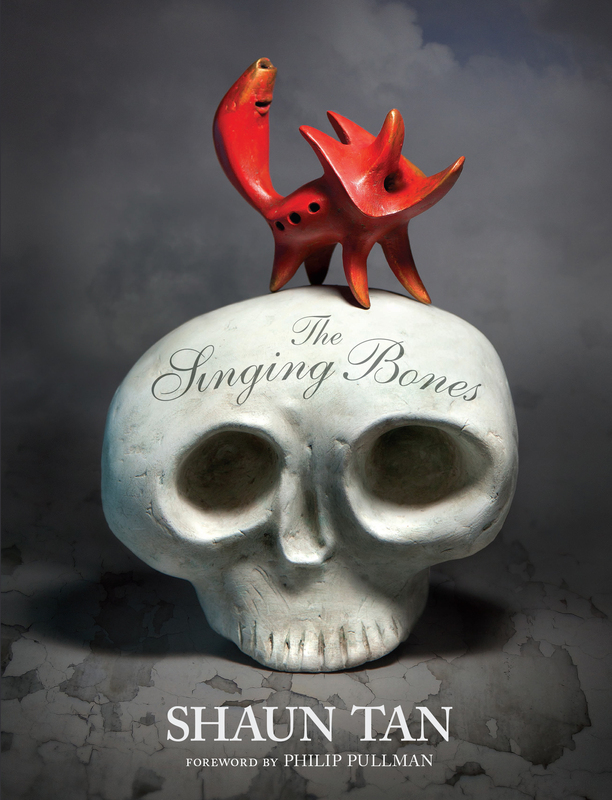 I never imagined that I would have the privilege of reviewing the latest book from super-clever-clogs and fascinating writer/historian/scientist Peter Macinnis. And yes, I would describe him as such even if he wasn’t a friend of mine! Peter takes us on a journey through the entire span of Australia’s bushranging history, rather than the focus being on just a few well- known names. 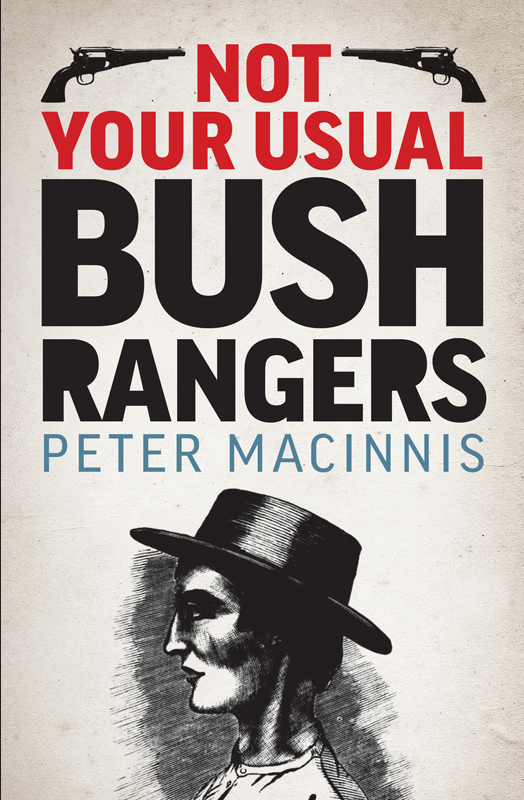 While I have been to Ben Hall’s grave and to Melbourne Gaol where Ned Kelly was hung and Thunderbolt’s Rock, amongst other significant sites, I have never heard of most of the rogues and scallywags Peter writes about in this entertaining account. And that of course, is the entire point. Beginning with those early convict ‘bolters’ (who perhaps aren’t how we would now define bushrangers) right up to some youths in the post Great War years trying their hand at the ‘game’, Peter traces the development of the Antipodean highwaymen (and women!) with an engaging and often humorous slant. As always, his work is meticulously researched and in his searching he has uncovered many interesting original documents and reports which examine the contemporary records, attitudes and consequences of all stakeholders. And naturally, although the bushrangers are the focus of the book, the reader also gains a real insight into colonial Australia from the time of European invasion to the early 20th century. While primarily aimed at an adult audience, this is a book which would sit easily in a school library as a reference point for those units dealing with Australia’s history since the White colonisation as it is written in a very accessible style. I can highly recommend this history for both your school library and for your own personal reading. Definitely a winner and worth bailing up your local bookseller!